A Rumored Engagment is the first book I've read by author Lily George, a relatively new Love Inspired Historical author. I am a real fan of Regency romance, having cut my teeth on Georgette Heyer's Regencies as a teen. I enjoyed Ms. George's sweet tale. Her heroine Susannah Siddons was sympathetic, which means I liked her and wanted to read about her. And I found the situation a bit different from other Marriage of Convenience stories in that the hero left for the sea after the sham engagement. I had some trouble warming up to her hero Daniel Hale. He seemed so immature compared to Susannah, but that was exactly the problem between them. Daniel had to face growing up. A coming of age tale for the hero is unusual. I also was intrigued with how Ms. George kept the story moving with just mundane village happenings. That's not easy. However, the use of "'twas" was a real problem. It kept pulling me out of the story like a flat note. So I hope Ms. George will remove that from her "dictionary" before her next book. So would I recommend this read? Yes, if you enjoy Regency romance and a lively heroine. My new book, out September 1st, takes place about a decade after A Rumored Engagement and in America. 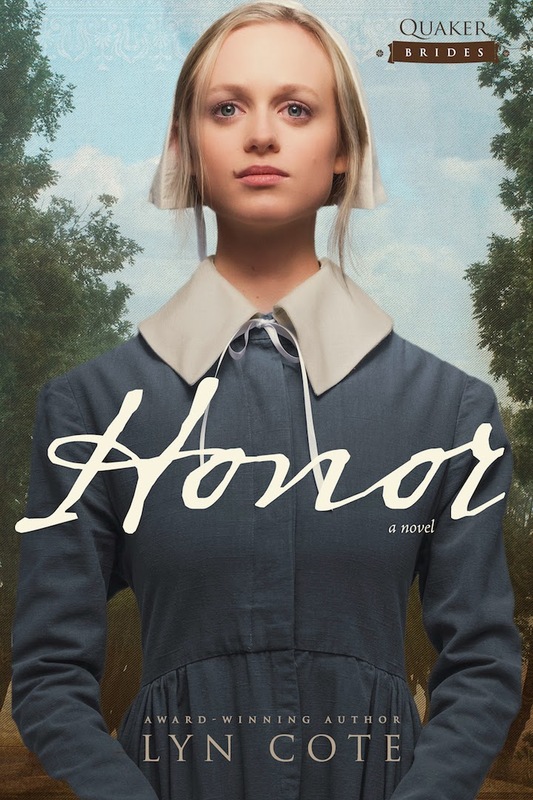 When unexpected circumstances leave Honor Penworthy destitute after the death of her grandfather, she is forced to leave her Maryland plantation—and the slaves she hoped to free—and seek refuge with a distant relative. With no marketable skills, her survival hinges on a marriage arranged through the Quaker community to local glass artisan Samuel Cathwell. Samuel is drawn to Honor, but he has been unwilling to open his heart to anyone since scarlet fever took his hearing as a child. I haven't read a Regency in years, but this sounds interesting. So does your upcoming book. It's a very intriguing premise. Thanks, Patricia! I hope others think the same. Sounds like a lovely book! I will have to check it out. You won't be disappointed--if you love Regency! Gosh, Lyn, I'm envious of your reading time. My To Be Read list has become overwhelming. And you've given me yet another title to add. So many good books, so little time! I can't sleep if I don't read a while before turning in, Angela. I love Lily George's books! This one was no exception. Thanks for sharing the word!